Pirates Extreme Dry Combo Bouncer! Whether your guest choose the fend off the pirates from this cool bouncer or decide to join forces with the buccaneers, they'll have hours of fun in this pirates themed Extreme combo. This large combination bounce house and slide also includes some amazing features like a basketball hoop inside, as well as pop-up obstacles and the large climb & slide. Large clear graphics of all Pirates characters above the entrance and with brightly colored in reds, blues, yellows and green, this rental unit will be a stand out that your guests will remember. 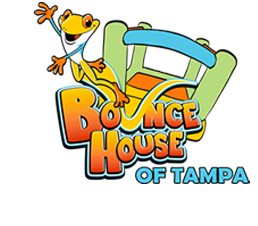 Bouncing with the Pirates is great fun and if you have Buccaneer Fans at your party they'll be excited to have the Buc's theme. This unit is approved only for "Dry Use". Click here to see the Wet Pirates Extreme Combo Rental. Get 4 times the value and reserve the Pirates Extreme Combo Bouncer today!